This ad has a really big 3.250% Interest rate. That’s low right? 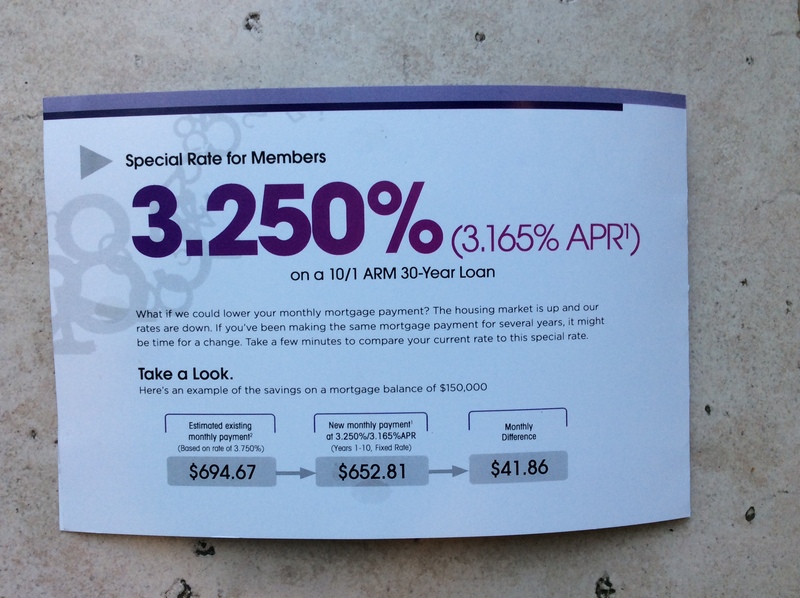 But wait, doesn’t Regulation Z require the APR to be same size font and appearance as the interest rate? The monthly payment may change when the interest rate on an adjustable rate mortgage is reset. 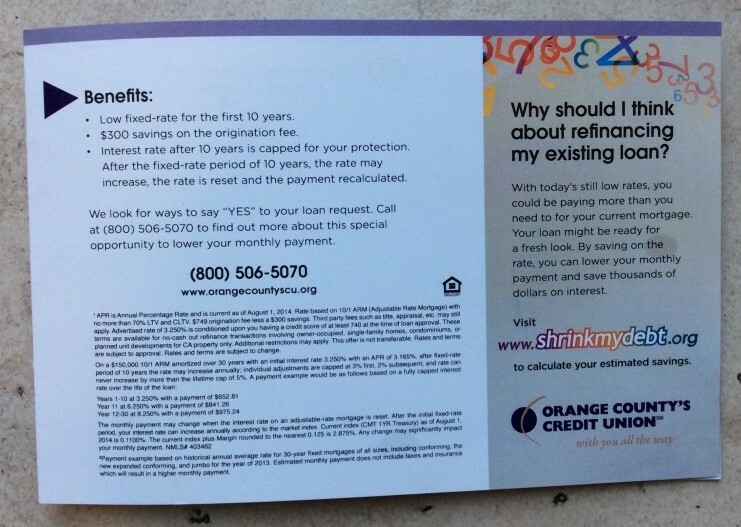 After the initial fixed-rate period, your interest rate can increase annually according to the market index. Current index (CMT 1 YR Treasury) as of August 1, 2014 is 0.1100%. The current index plus Margin rounded to the nearest 0.125 is 2.875%. any change may significantly impact your monthly payment. This ad tells me to refinance my 30 year fixed rate loan that I have at 3.750% into an ARM loan to save litterally $42 per month. The ad does not ask whether I intend to stay in this home longer than the next ten years. If I’m staying in this home for next 20 years I am risk of my payment increasing up to 5% higher if interest rates rise between years 11 and 16. The advertised rate is for a 740 FICO. This may raise some UDAAP concerns since that may not represent a fair number of the Bank’s customers as a 740 is a high FICO. This means the rate advertised may not be available to most customers.